Kathleen M. O'Neill is an associate in the Corporate Practice Group in the firm's San Diego office. Kathleen O‘Neill focuses her practice on mergers and acquisitions, corporate governance and operations, and regulatory advising for clients in the healthcare industry. Kathleen is dedicated to understanding each client’s needs to assist them in navigating legal issues and achieving desired outcomes. Kathleen advises clients regularly on structuring considerations and risk mitigation strategies in transactions. Kathleen’s transactional practice is supported by her experience with federal and state law governing corporate practice of medicine, fraud and abuse, licensure, and commercial and governmental payor reimbursement. As a former registered nurse, Kathleen’s clinical experience and insight give her a practical understanding of the issues and concerns clients face in doing business in the healthcare industry. She is passionate about serving clients effectively, thereby enabling them to serve patients, providers, and other stakeholders. Before joining the firm, Kathleen began her legal career at another prominent healthcare firm in Chicago. She attended Northwestern University Pritzker School of Law, graduated with high honors, and was named to the Order of the Coif. During law school, Kathleen was a Note and Comment Editor for the Northwestern Journal of Law and Social Policy. 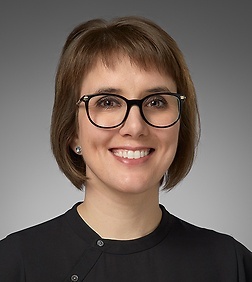 Prior to attending Northwestern, Kathleen worked for several years as a registered nurse at the University of Chicago, and continues to hold a registered professional nurse license in Illinois.